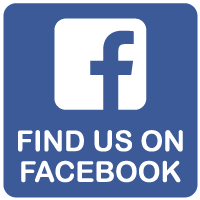 Why choose our uPVC products? Perth Double Glazing only use Kommerling PVC profiles. The KOMMERLING PVC-U window systems fulfill the requirement of the Australian Standards AS 4420 and AS 2047, and the company’s quality management system was awarded the British Institute (BSI) Certificate. KOMMERLING products are designed and extruded to meet the most stringent quality requirements of the Australian and South Pacific markets. Kommerling systems have been tested and proven to perform in all kinds of extreme conditions. One test took place at 2,300 meters above sea level, with windows exposed for fifteen years to strong UV-radiation, freezing temperatures and heavy storms. From windows to seals, everything proved to be in the same condition at the end of the test period. Even very tough climatic conditions such as extreme temperatures or salt-laden sea air cannot stop PVC-U windows from doing their job. 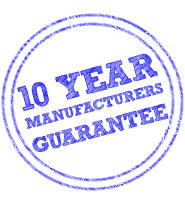 As we are the manufacturers of all windows we install, we offer a full 10 year manufacturers guarantee. We don’t use sub-contractors. If your installer does not produce your double glazed windows in their own factory, then they can’t offer you this guarantee. Perth Double Glazing can! We offer casement windows, tilt and turn, sliding doors and custom made windows to suit almost any application. Our windows are affordable, and add a stylish touch to existing or new builds. Given the extreme heat of the summer and the much cooler months of the winter our double glazed units will provide a considerable energy saving by reducing heat gain in the summer and heat loss during the winter. Our windows have been successfully used in swimming pools, marine and all ocean environments without deterioration of the surface finish or performance. They are ideal for installation in buildings located close to the sea and exposed to strong wind, heavy rain and salty air with resistance to driving rain and joint tightness a huge benefit. 100% UV Resistant too! PVC-U windows help you save money (through reduced energy costs) but also contributes to reduce the harmful emissions polluting the environment. They can also be fully recycled. The reduction of external noise makes a huge difference to any room or office. uPVC windows offer amazing sound-proofing benefits. Consider the impact that noise from passing traffic, construction work, trains, planes or other outdoor activity is having on your peaceful enjoyment of your home. uPVC windows can make a difference! uPVC Windows assist in creating a comfortable atmosphere in your home. Inefficient windows are one of the main reasons buildings face substandard insulation. Thermal insulating effects can also save you money! You can achieve effective protection against break-ins using our window system. Our window sashes and frames are made of stable, highly impact-resistant multi-chamber PVC-U profiles with integrated steel reinforcement. All our UPVC windows and doors are internally beaded so the glass can only be removed from inside the building. Highly effective security hardware (including lockable handles and multi-point locks) combined with special glass provide the maximum achievable security for your windows. uPVC windows require minimal care and maintenance. Their long life span, dimensional stability and robust surface ensure that you will enjoy your PVC-U windows for a long time. uPVC is naturally flame retardant and does not support combustion. Let the team at Perth Double Glazing make your home look amazing!! Saturdays and outside normal business hours by appointment.